First published on September 20, 2012. 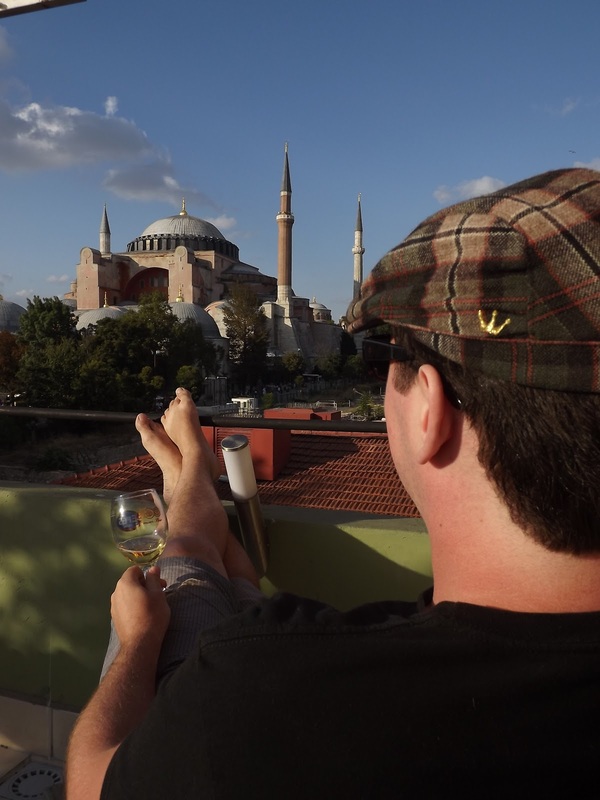 Steve and I finished our year of madness travels with a trip around Turkey, and the country left us both captivated. Both frustrating and beautiful. A bizarre mixture of tradition and modernity. And let’s not even mention the food! They say everything has to come to an end, and no matter how much I fought it so did my Year of Madness. After crawling my way through 20 countries; more bus, plane and train trips than I could count; bike rides at dawn through a sleeping Paris, the discovery of Long Drinks in Finland, wondering at the resilience of humans in Poland, eating my weight in delicious food daily in Turkey, pub-hopping in London and generally just marvelling at the beauty of this world of ours, The Boy and I had to face the fact last week that we were wrestling our backpacks closed and hauling them across Istanbul for the very last time. And we were we going home. Home to family and friends and all kinds of lovelies, but also home to jobs and responsibilities and generally just being grown-ups. Not an easy concept to grasp when a few hours before I had been trying (in between courses and far too many drinks) to convince The Boy that he actually did want to dance with a belly dancer as we cruised the length of the Bosphorus River. But now, a week later, I’m writing this ensconced at the library near The Parentals’ home in Oz, attempting to escape the pre-summer humidity while beginning the Job Hunt and trying to decide if the past year has in fact been real. But it’s pretty hard to argue with the incredible thong tan on my feet. A lot of hard work went into creating those beauties.